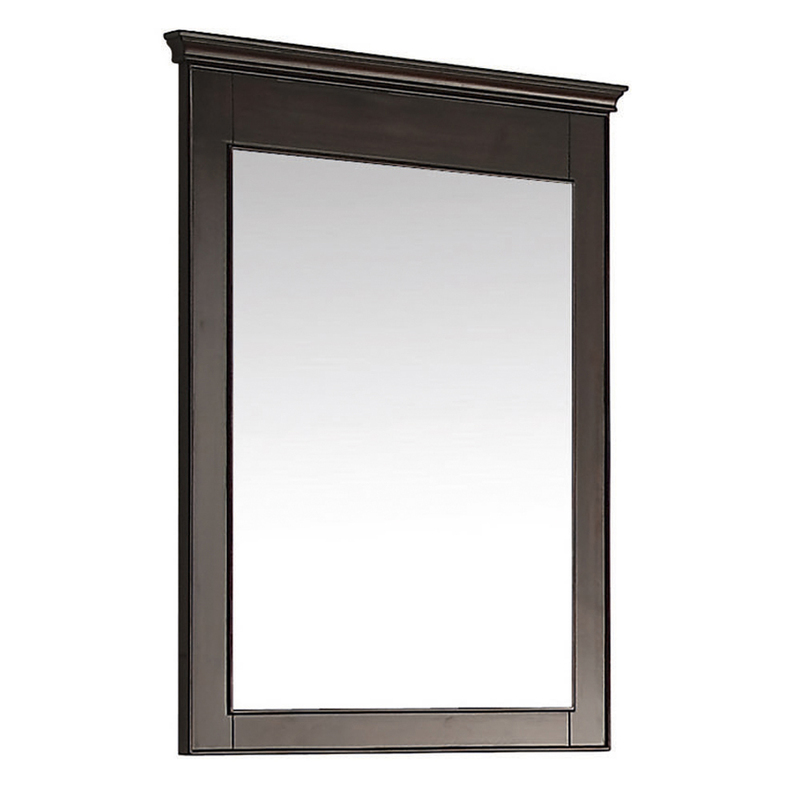 The Cesarina 73 in. 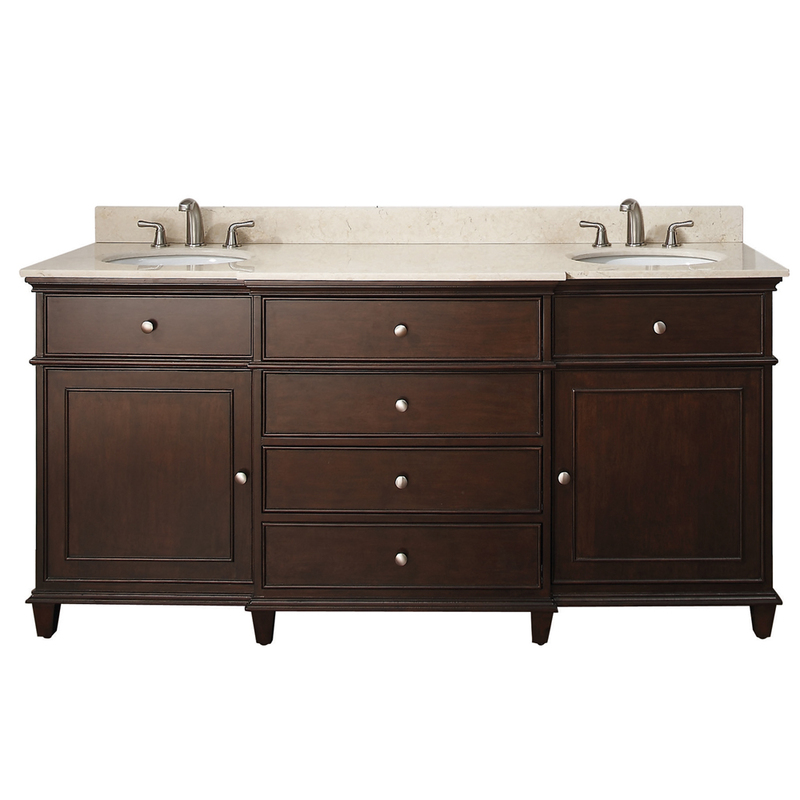 vanity in walnut is a beautiful transitional design with classic lines. 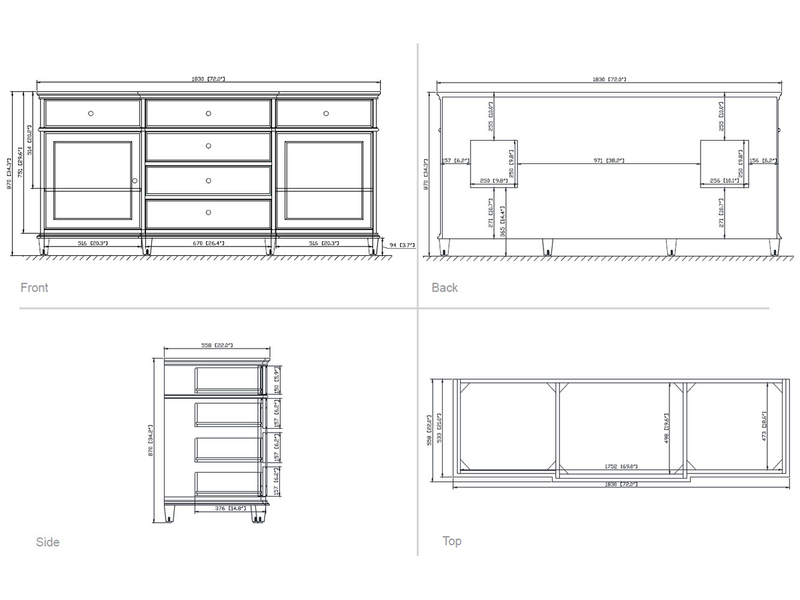 Constructed of solid poplar wood and veneers, brushed nickel hardware, soft-close drawer guides and hinges. 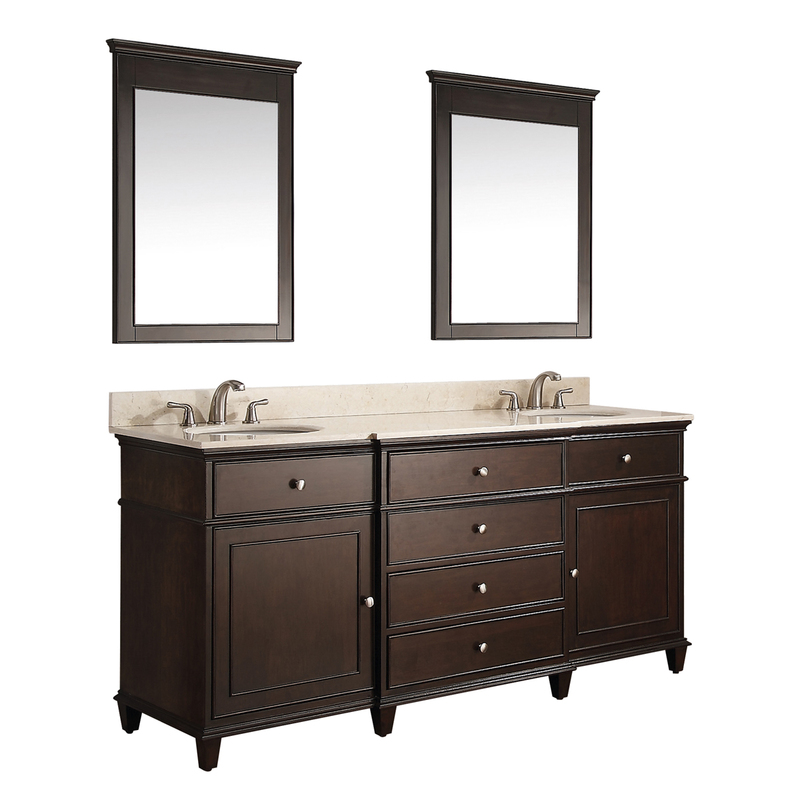 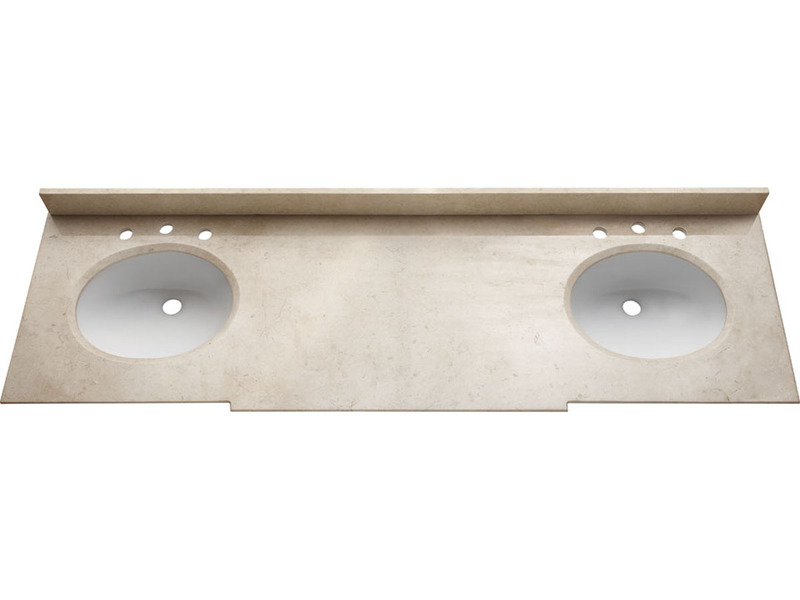 The vanity set includes a Black Granite top and dual undermount sinks. 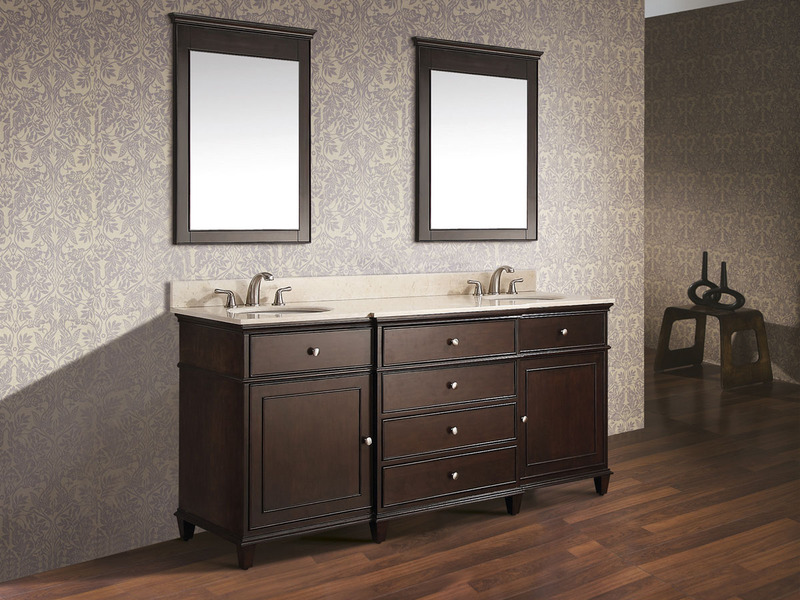 The coordinating mirror adds to the set and completes this collection.